Do we really need to sell these amazing guyz to you ?? Described as "more hairdresser than barbershop", this self-explanatory ensemble first performed at Soho's exclusive moving-shaking-first-adopting media-hothouse drinking-hole The Groucho Club, back in mid-2000. Lesser known artists who shared the stage with the Poofs that night included Chryssie Hinde, and Annie Lennox. 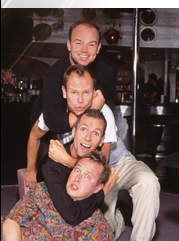 They went on to play venues ranging from the Queen Elizabeth Hall, Hyde Park, Jermyn Street theatre and in their own show LIVE AT LAST at the Kings Head theatre, London. 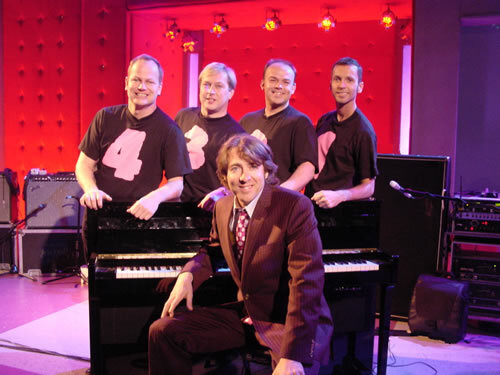 In 2001 the boys were spotted by the producers of "Friday Night with Jonathan Ross" and were invited to become the resident band . 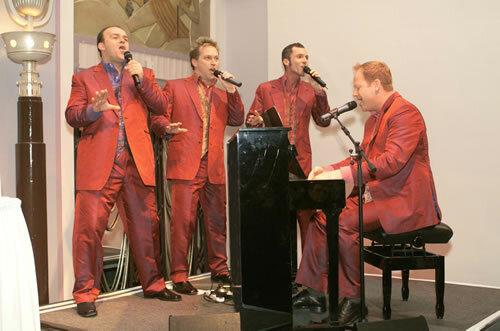 As a result they have provided musical introductions for such esteemed pop luminaries as ELTON JOHN, PAUL MCARTNEY, LIZA MINNELLI, KYLIE MINOGUE and MADONNA when their dragged up performance and tribute to the star led to a whole host of other gigs including the launch of the new ROD STEWART musical "Tonight's the Night�. Following on from the success of the Jonathan Ross series, the Poofs have also been making a number of VIP appearances for such notable clients as Microsoft, JLT Solutions and the Grand opening of the new Selfridges in Birmingham . 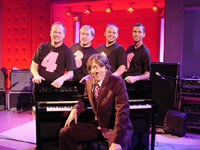 Towards the end of 2003, the boys joined Jonathan Ross on stage to collect the award for BEST COMEDY ENTERTAINMENT PROGRAMME at the British Comedy Awards and then started a whirlwind tour around the country including TV appearances on THE HARRY HILL SHOW (Channel 4), GOOD FOOD LIVE (The Food Channel), SKY NEWS WITH RICHARD LITTLEJOHN, THE KELLY SHOW (Ulster Television) THE 100 BEST MUSICALS (Channel 4) and over 30 radio shows including Simon Mayo on Radio Five Live and Jonathan Ross' highly acclaimed Saturday lunchtime Radio 2 Show. 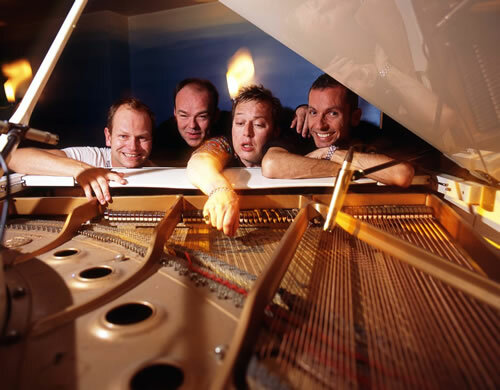 They celebrated the end of 2003 with the release of their first single CAMP UP YOUR CHRISTMAS which reached number 22 in the Independents Charts. The controversial �B' side caused widespread interest especially after it was banned by Radio 1 and several other radio stations. Their stage show NEVER MIND THE BOTOX stormed the Edinburgh Fringe Festival in 2004 and since went on to perform this hit in venues across the country. Those who appreciate interesting arrangements may want to get into 4 POOFS AND A PIANO. 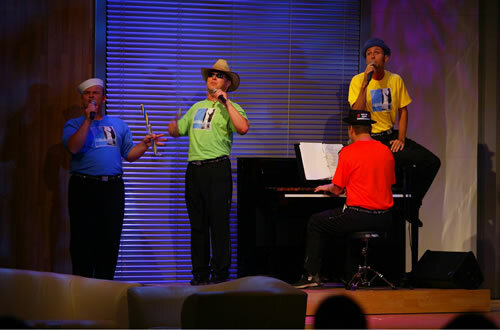 The group's reputation is founded on a distinctive array of vocal techniques and audacious harmonies, which combine to produce individual and quirky interpretations of standard ballads, show tunes, chart hits, and classics as well as their own original material.